Natural sunshine raisins. The delicious lunchbox snack that kids'll love. 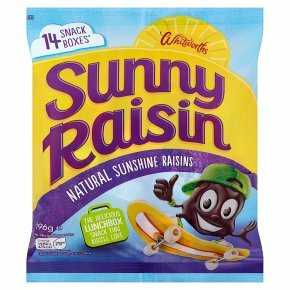 Suitable for vegetarians.Sunny Raisins count towards your 5-a-day and are perfect for enjoying as part of a lunchbox or at mealtimes. Although we've taken extra care some stalks may remain.